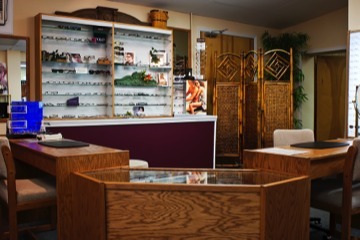 Martinsburg Optical has proudly served the panhandle community from the same location for 35 years. Julia Small and her dedicated staff continually strive to meet the needs of our customers by ensuring that your prescription for eyeglass lenses is filled with the utmost care. Of course, we also take time to help you select frames that are comfortable and flattering for you. We also offer Opticare, our very own vision plan, to help our patients during this economic downturn.